Ozzy Osbourne, 70, was hospitalised on Monday as his wife Sharon, 66, revealed he’s been suffering complications from the flu. Taking to her Twitter account on Wednesday, the former X Factor judge told fans the rocker’s admission to the facility was advised by doctors to help speed up the recovery process. ‘His doctors feel this is the best way to get him on a quicker road to recovery. Thanks to everyone for their concern and love’, she added. According to The Blast, the Black Sabbath star checked into Los Angeles’ Keck Hospital earlier this week, with his wife and son Jack, 33, arriving to the institution with security. Earlier this month, the singer cancelled the European leg of his tour after falling ill with the flu and bronchitis which doctors feared may develop into pneumonia. The Crazy Train singer initially announced that he would have to miss the first four dates of the 79-date tour just days ago after falling ill. However after returning to his doctor for a second time, he was told he had a severe upper-respiratory infection, according to a statement obtained by People. The father-of-six is in the midst of his No More Tour 2 tour, after completing the first No More Tours Tour in 1992, when he decided he wanted to spend more time with his family – but then shortly changed his mind. 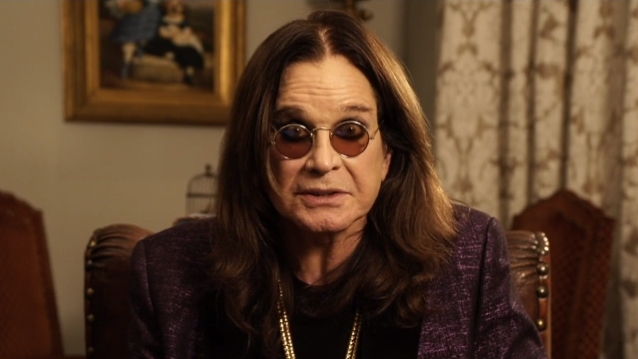 The publication reported that because of Ozzy’s hectic schedule and the cold winter weather, doctors fear that it could develop into pneumonia. Referencing the staph infection he suffered last year, Ozzy said that was the first of his troubles before developing the flu and bronchitis. He went on to apologise to his fans as well as his band and crew, as well as Judas Priest who he was set to perform with. However he insisted that the tour was currently being rescheduled to start in September, no doubt once he was feeling better. The Loner singer was due to perform in Mountain View, California in October, but instead spent the evening recovering at Cedars-Sinai hospital in Los Angeles after undergoing hand surgery.